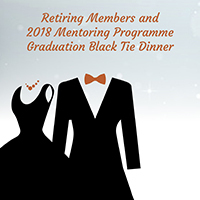 Please join us for a night of celebration as we recognise our members retiring from the sector in 2018 and our mentees graduating from the 2018 Aspiring Leaders Mentoring Programme. This celebratory evening is also a great opportunity for you to join other leaders in the sector and reflect on the year while being able to relax and enjoy yourself. By proceeding with your registration you agree to the terms and conditions outlined on the website.